At the request of Vivian, a budding cosplayer, this blog post will be about how to make Hextech Janna staff and the hemispheres around her belt. If there’s anything confusing or unclear, please do not hesitate to ask me for clarification. I apologize for not having any images right now. 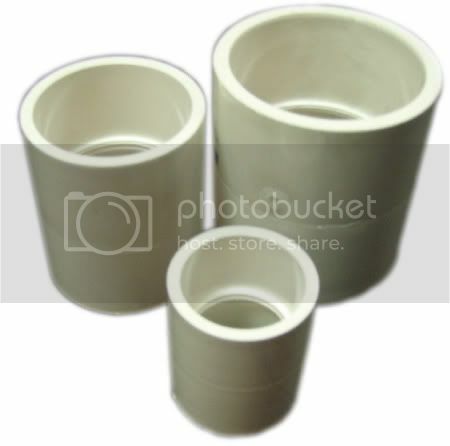 3/4″ or 1/2″ thick PVC pipe. You can find these at your local hardware store. 8′ of Clear flexible plumbing pipe. I don’t remember what size I used. Just make sure they’re thinner in proportion to your staff. Wooden embroidery hoops: 4 8″ hoops, 1 10″ hoop, and 1 6″ hoop. I don’t fully remember the measurements of these hoops, so whatever looks good to you should suffice. WARNING: This may be dangerous to your health with the tools you may need to use. If you have an adult that is willing to help you cut some of these materials PLEASE LET THEM. OPTIONAL: For transporting the PVC pipe, I cut it in half and used a paper roll inside the PVC pipe to connect them together. Unfortunately I don’t have images on me to show you this, but if you really want to see it, I’ll take a picture of it and post it. Put the PVC pipe coupling where you determined to be the top of your staff. Add holes to your staff where the blue pipes go in and out through the staff. Before you do this, draw out the staff and plan where you want to put the holes. This is very important. First make the bottom layer out of solid cardboard (please don’t use flimsy cardboard). Use a compass to make a circle the same size as the 8″ hoop. Cut out the center of the circle to the same diameter as the PVC pipe coupling. Do this two times. Take one of the cardboard doughnuts you made and set it aside. The other will connect your staff to the staff head. Take two 8″ hoops, take out the hardware, glue them together, and paint it blue. One these dry, glue #4 to #3, #5 to the top and #6 on top of that. Glue the crystal to the base. Find out the where you want the 10″ hoop to circle around the crystal and then cut 4 pieces of cardboard that will support that 10″ hoop at that location. Do the same for the 6″ hoop which circles at the top of the crystal. Use the hardware hoops that you took out from the hoops you are using to make the curves you see at the base of the staff. Measure and cut these. You need 2 for each curve. Paint all of these brown and then glue it on. This is a bit tricky, but if you planned it right, you should be able to get it. Cut the tubing to desired length and stick them into the holes you made previously in the staff. If the tubing cannot fit into the holes (like mine did) use 2-part Expoxy glue. BE CAREFUL WITH THIS. This is very very very sticky. It’s advisable to get an adult help and use disposable gloves. Glue the staff head to the PVC pipe coupling. Congratulations! Your staff is complete! WARNING: THIS IS DANGEROUS. I HAVE CUT MYSELF USING THESE TOOLS. I cut the very tip of my left pinky with a HOBBY KNIFE. BE CAREFUL PLEASE! Put two thin layers of wood glue to cover the surface of the hemispheres, including the bottom of it. Wait for each layer to dry first before putting another one on. If you can still feel it’s a bit porous…I’m not sure how to explain this…add more layers. Paint these with blue. Once they dry. Clear coat them to make it shiny. Make the gold base out of cardboard or clay, by measuring it around the base of the hemispheres and then paint it gold. Glue the hemispheres to the gold base. Again I apologize for not having any pictures of my progress, but I can show you my final work up close instead if you want me to.